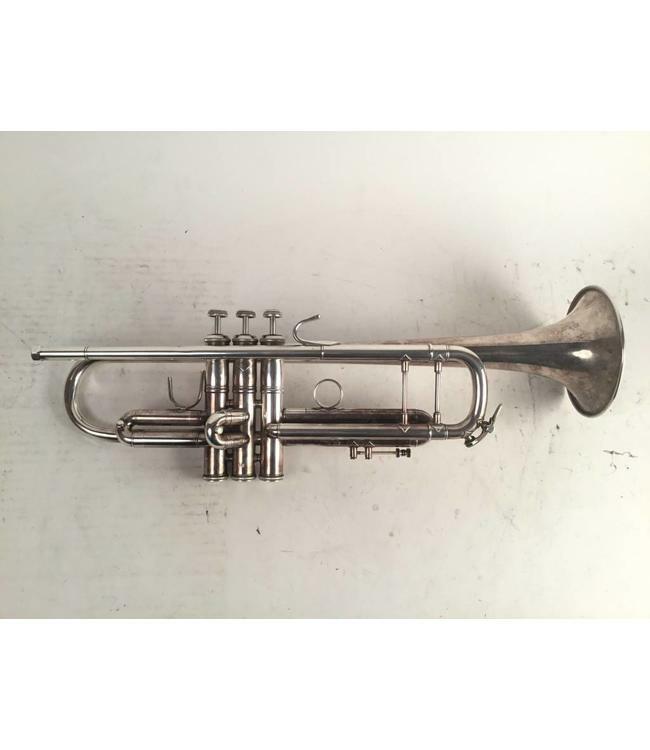 Used Bach Stradivarius 37, ML bore (.459"), Bb trumpet in silver plate. Instrument is in overall good condition with surface scratches, evidence of minor red rot in leadpipe, and minor dings - dents throughout. No case.